Need to backup your Lytro library? Lytro Desktop 4 requires accelerated 3D graphics hardware. Many systems made before 2012, especially laptops, will not work with Desktop 4. We have received reports that the following systems are incompatible with Lytro Desktop 4. Apple Mac systems with integrated Intel HD Graphics 3000 only. This includes most Mac models 2011 and earlier. GPU Blacklist – Please see our GPU Blacklist. Lytro Desktop 4 will not install on GPUs listed there. Desktop 4 requires .Net Framework 4.5 and Visual C++ 2013 to run. If one or both are not present it will try to download them and thus will need internet access. Windows 8 already includes them, thus you should be able to install Desktop 4 to Windows 8 without an internet connection. If you download and install these components for Windows 7, you should be able to install Desktop 4 without internet access. The following GPUs will not work with Lytro Desktop 4. Desktop 4 will not install onto computers that contain blacklisted GPUs. In order to optimally process pictures from your LYTRO ILLUM camera, Lytro Desktop needs calibration data about your camera’s internal systems. 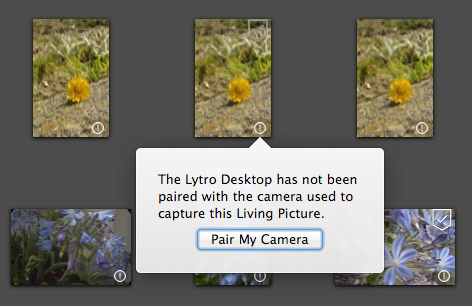 You’ll need to transfer your camera’s pairing data to Lytro Desktop 4 before you begin processing your pictures. You need only perform the pairing operation once per camera, per Desktop installation. The first time you connect your camera to Lytro Desktop, the camera’s calibration data is transferred to Desktop for use in processing living pictures made with that camera. That process is called pairing. 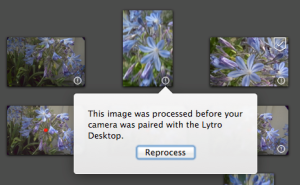 Backing up or restoring a copy of an existing Lytro Library. For instance, to guard against a computer, hard drive, or data being lost, stolen, damaged, or corrupted. Making a copy of an existing Lytro Library in order to create a second version of that Lytro Library. For instance, if you wish to edit down a copy of your main Lytro Library, to be kept on a laptop, that only contains your favorite pictures; while maintaining your original Lytro Library, to be kept on an external drive, that contains your complete collection of pictures. Or, alternately, so that you can have one Lytro Library where all pictures have animations added, and another Lytro Library where they do not, and so on. Moving an existing Lytro Library from one computer to another. For example, when migrating to a new primary computer, or setting up a backup computer. On the other hand, if you want to create a new Lytro Library — one for each calendar year, for instance, or one for each person who will be using the same Lytro camera or computer — or to open an existing Lytro Library from its current location, then you can just start working with Lytro Libraries directly within Lytro Desktop 4 instead. 1. Make sure Lytro Desktop is fully shut down before manually copying a Lytro Library! Shut down Desktop before you begin the backup. 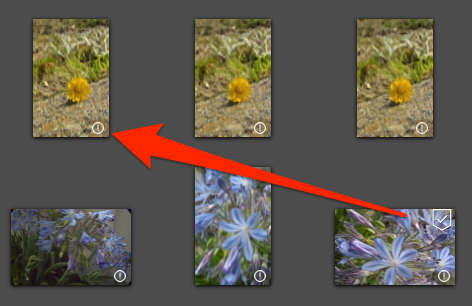 From the Lytro Desktop menu, choose Quit Lytro Desktop. Otherwise you risk corrupting your Lytro Library, and we don’t have a way of addressing that right now*. Select the Lytro Library file to be backed up. 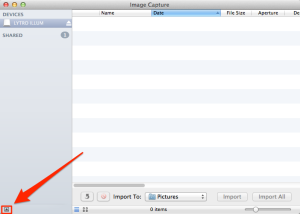 From the File menu, choose Duplicate (⌘D). This will create a file named Lytro Library copy. This is your new backup. You may want to rename each backup of your Lytro Library to help prevent mixing up your backups, e.g. TIP: After each backup, check the size, date and time information on the original and backup Lytro Library files to confirm that you’ve made an exact copy. 1. 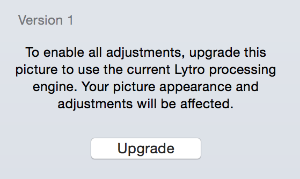 Make sure Lytro Desktop is fully shut down before manually restoring or moving a Lytro Library! 2. 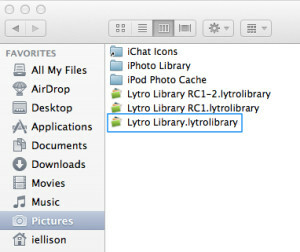 Copy the Lytro Library package from its backup location to the Pictures folder, as shown in the screenshot above. You do not need to rename the Lytro Library before doing so, but it is recommended. IMPORTANT: After moving a Lytro Library from a Mac computer to a Windows computer, you must rename the package from “Lytro.lytrolib” to just “Lytro” so that it can become an ordinary Windows folder. In all other cases — Windows to Mac, Mac to Mac and Windows to Windows — no filename extension changes need to be made. In all cases, it is best to be running the current version of Lytro Desktop on both computers*. 1. 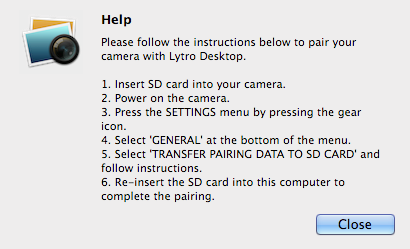 Make sure Lytro Desktop is fully shut down (File -> Exit) before manually copying a Lytro Library! Otherwise you risk corrupting your Lytro Library, and we don’t have a way of addressing that right now*. 2. Make a copy of the Lytro Library, which contains all of your living pictures, located by default in your pictures folder: C:\Users\[Username]\Pictures. 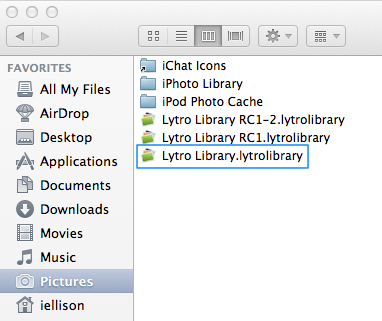 TIP: You may want to rename each backup of your Lytro Library, e.g. 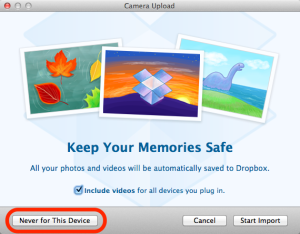 “Lytro Library Backup July-13-2013,” to help prevent mixing up your backups. If ever in doubt, you can check the “date modified” information on each Lytro Library. 1. 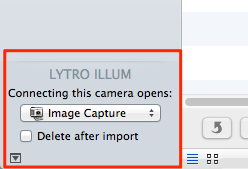 Make sure Lytro Desktop is fully shut down (File -> Exit) before manually restoring or moving a Lytro Library! Otherwise you risk corrupting your Lytro Library, and we don’t have a way of addressing that right now*. 2. Copy the Lytro Library folder from its backup location to its desired location (the default folder “C:\Users\[Username]\My Pictures” is recommended, but not necessary). You do not need to rename the Lytro Library before doing so, but it is also recommended. 2. Use the “Start” button (Start > Computer) to navigate to C:\Users, then into the User Account you want to copy from, then to the correct pictures folder for that User Account: C:\Users\[Username]\My Pictures. IMPORTANT: After moving a Lytro Library from a Mac computer to a Windows computer, you must remove the package extension “.lytrolibrary” so that the Lytro Library can become an ordinary Windows folder. In all other cases — Windows to Mac, Mac to Mac and Windows to Windows — no extension or naming changes need to be made. In any case, if you ever see this error, make sure you are running the latest version of Lytro Desktop. Don’t forget that Lytro Libraries created with Lytro Desktop 3.0.1 or below must be migrated before they can be used in Lytro Desktop 4. By communicating the picture state of a living picture, Lytro Desktop 4 lets users know if their living pictures file type or state will result in limitations when making adjustments and creating animations. Picture states are communicated using short and simple text in the Adjust, Animate, and Info Panels. These messages focus on what can and cannot be done with a living picture, and lets the user know why. 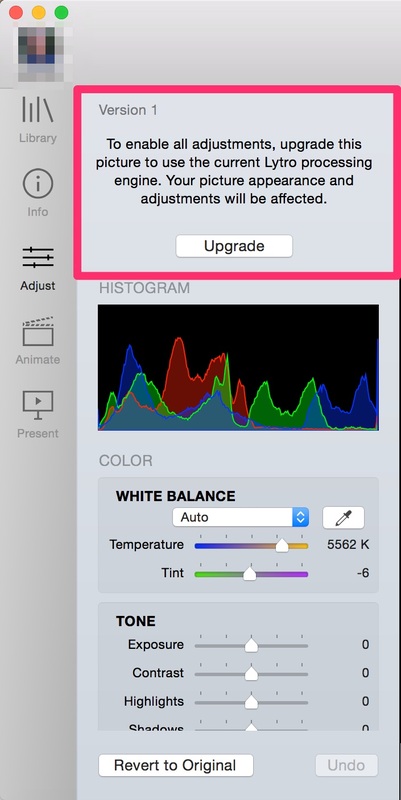 If updated processing can make the additional adjustments available a button to ‘Upgrade’ will be available. NOTE: If ‘Lytro Desktop Application Service’ is not an option in the Windows Services list please temporarily disable any security software you have installed and reinstall the latest version of Lytro Desktop from http://lightfield-forum.com/lytro/lytro-archive/#downloads [link updated to local copy, since Lytro went offline]. Once the installation is complete, you can reactivate your security software. Go to http://lightfield-forum.com/lytro/lytro-archive/#downloads [link updated to local copy, since Lytro went offline] and download/install the latest version of Lytro Desktop. 1. 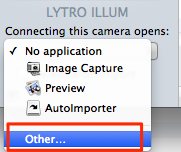 Open the Lytro Desktop 4 Preferences window and confirm that this setting is enabled: Launch Lytro Desktop when a Lytro Camera is connected. 2. Open the Image Capture application while the ILLUM camera is connected. 3. 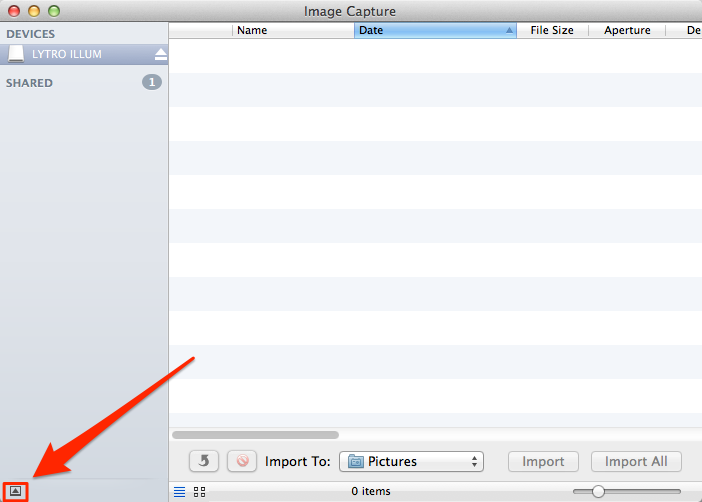 Click the small icon at the bottom left corner of the Image Capture application window. 6. Select Lytro Desktop from the Applications folder. 8. 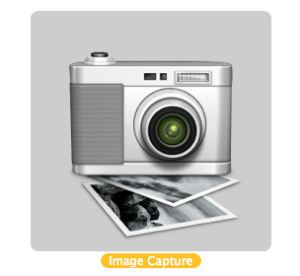 Quit Image Capture. Unplug the USB cable from your computer. When you reconnect the cable, Lytro Desktop 4 should launch. 9. If you have Dropbox installed, a Camera Upload dialogue box may appear the first time you connect the ILLUM camera to your computer. If this happens, click Never for This Device. 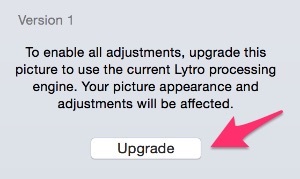 A bug preventing new first generation camera users running Mac OS X 10.10 from having their camera detected in Lytro Desktop 4 has been fixed. [NTR-4297] A bug preventing Mac OS X 10.11 El Capitan users from connecting their first generation Lytro cameras has been fixed. 7-stack TIFF Exports, Editable Living Picture, now use the 00 image as the center frame. 500px support – share your living pictures to a 500px album. ‘Chromatic Aberration Defringing’ – when selected, attempts to reduce color fringing artifacts. When selected, the white balance eyedropper does not change the mouse pointer to an eyedropper. This will be fixed in a future Desktop release. IMPORTANT: Read this before upgrading from Desktop 3 to Desktop 4. Lytro Desktop 4 may exhibit performance or stability issues on unsupported computer hardware. Please see the Lytro Desktop 4 system requirements for details. Customer reported issues fixed – Thank you!! NTR-2617 – Library Migration from pre-Desktop 4.0.0 sometimes fails, resulting in an empty library after migration. NTR-2302 You may need to click more than once to refocus a picture. NTR-2300 3D side-by-side display: Player image disappears on external display when exiting fullscreen 3D side-by-side presentation on internal display. WEB-2463 Perspective shift may not work on cropped and/or rotated pictures you’ve shared to pictures.lytro.com. NTR-2307 The Play icon in the Animate panel may not work correctly in localized (non-English) versions of Lytro Desktop 4.0.